Henry Holland has collaborated with Le Spec to bring you a collection of amazing, fashion-forward and affordable sunglasses like these Muffin Top Round Sunglasses. 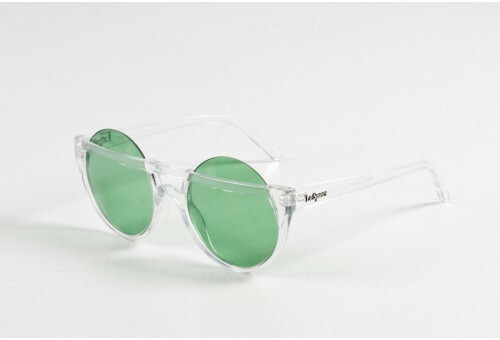 This hip pair of sunnies is certainly a trend quadruple-threat: clear plastic frames, a double bridge bar, tinted green-colored lenses and a circular silhouette. We love the idea of these glasses paired with a neon lime body-con dress and a hip pair of boots for a cool summer day with friends! Give 'em a try, with ViewTry!